The Kember family run a mixed farming operation south of Ganmain in southern New South Wales. “Gleneith Park” is the property where the Gleneith Border Leicester Stud is located on an area of 520 ha (1,284 acres). The family also run commercial operations on neighbouring properties of 2190 ha (5,410 acres), as well as lease and share farm operations on an area of 518 ha (1,280 acres) south west of Coolamon. Enterprises run on the family aggregation include winter cropping on an area of approximately 2,000 ha (4,900 acres). Wheat and barley are the main cereal crops grown. Oats are grown for grazing , grain production, and often cut for hay which is sold to New South Wales south coast dairy’s. Canola and Albus Lupins are used as a break crop along with improved pastures of Lucurne and Sub Clover. Livestock enterprises include Beef cattle and both 1stX ( Border Leicester/Merino ) and 2ndX ( Poll Dorset/1stX ) for prime lamb production. 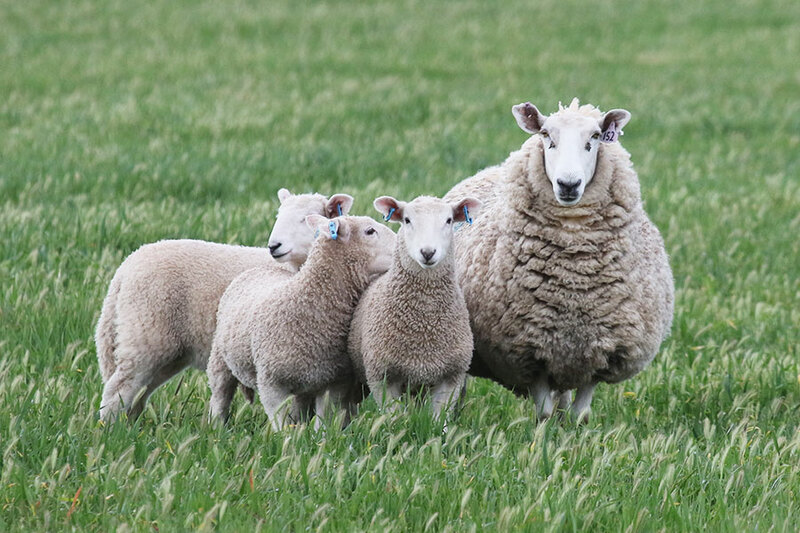 High Indexing Border Leicester rams are mated to large framed Riverina breed merino ewes , these ewes are ideal for the 1stX breeding system because they provide the ideal style of ewe from which to breed the 1stX, large long bodied ewes with a large fleece of medium wool. The 1stX breeding enterprise consists of approximately 1,500 merino ewes with a lambing percentage in excess of 100%. Joinable 1stX ewe lambs are sold at the Narrandera 1stX sale the second Tuesday of Feburary each year, with another consignment held for the Annual 1stX ewe sale the third Tuesday of September. Some replacement ewes are also retained for our own 1stX ewe flock. 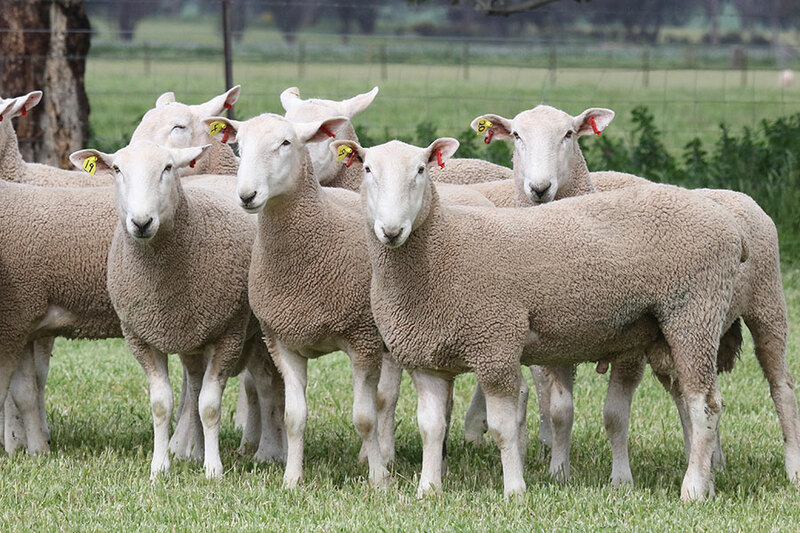 1stX wether lambs are sold into the export market at about 10 months of age, either over the hooks or through the Bomen Saleyard Complex, Wagga Wagga. 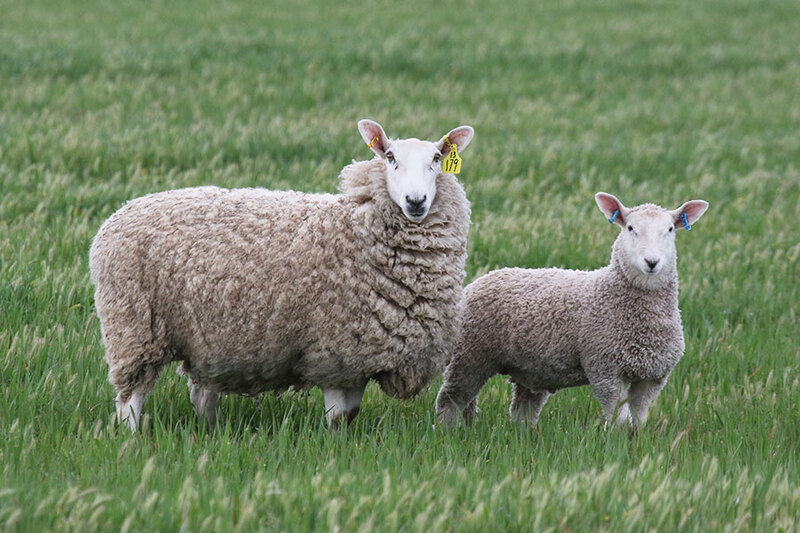 Our prime lamb operation consists of approximately 430 1stX ewes retained from our own breeding program. The ewes are joined to Poll Dorset rams that are in the to 20% of Terminal Sires as ranked by Lambplan . Lambing percentage of over 130% is common in this enterprise. A percentage of lambs are usually sold as suckers through the Bomen Saleyards, Wagga Wagga, with the remainder shorn and sold at export weights, much the same as the 1stX wether’s.